creating a sense of stewardship and ownership of blood-related processes. Communication is ongoing between the BloodMove Team, hospitals and laboratories. In turn, a supportive network is now available that stakeholders can “tap into” – this supports blood management issues. This is particularly important, as BloodMove covers a number of clusters (i.e. regions) across a wide area in regional SA that are supplied by various transfusion laboratories. BloodMove leads provide guidance and support to “hub and spoke” stakeholders; to ensure best practice in blood cold chain management thus minimising waste. Bianca Strong (BloodSafe Cluster Clinical Nurse) (left) and Sharon Saegenschnitter (BloodSafe Site Contact Nurse) from Kapunda hospital discuss their experience with the BloodMove project in the video below. At times there have been challenges with the BloodMove processes; these minor challenges have been resolved because of the established communication channels and continuous support offered by the BloodMove Team. Lynda Pierce (HealthScope National Transfusion Coordinator) from Ashford hospital discusses the importance of supportive networks in the BloodMove project in the video below. 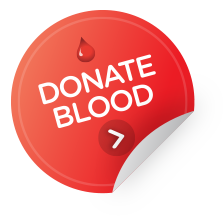 Compliance ensures that supplying laboratories are able to accept blood units back into their inventory for use before expiry. 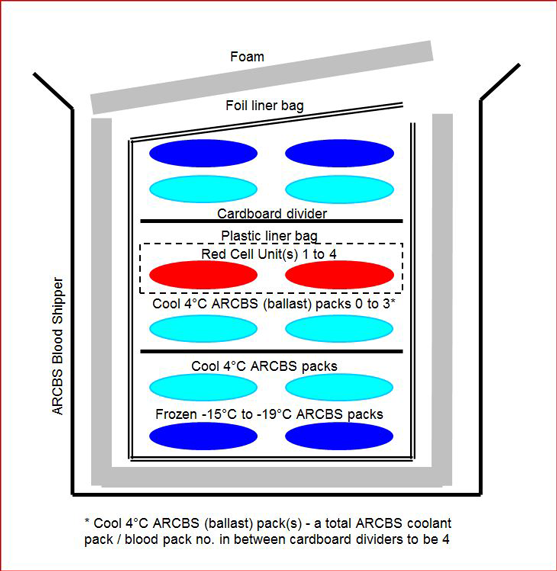 Existing blood shippers and commonly used packing configuration were validated by BloodMove. Part of this validation involved examination of existing courier systems to identify possible temperature challenges during transport. It was found that the current shipper and transport system utilised were acceptable. BloodMove established that when accompanied with onsite shipper packing education the transportation of blood throughout regional SA would be assured. BloodMove will be providing an independent validation report for the shipper system used throughout SA (i.e. Blood Service Configuration R1). This documentation is used to declare that the appropriate checks have been performed by the hospital whilst storing the blood. all manual temperature monitoring and alarm tests are recorded on Blood Fridge Maintenance Record. Tony Waterman (Kapunda Hospital Maintenance Technician) conducts a blood fridge cold temperature alarm challenge in the video below. Please note other alarm challenges are not demonstrated. Andrew Levak, Laboratory Manager, SA ​Pathology Berri Hospital discusses transport and storage requirements for blood in the video below. All of the above requirements provide assurance to laboratories and hospitals that any blood they are physically receiving has been stored appropriately, can be safely re-introduced to existing inventory and used when required. This is supported and maintained by regular auditing of hospital blood fridge and inventory documentation and processes. Nurturing blood stewardship and respecting this valuable donated product. This is an ongoing process that is standardised across all hospitals in accordance with best practice. BloodMove has achieved a cultural change across regional SA on important issues such as blood-related costs, inventory management and minimising avoidable blood wastage. The change has been brought about by the education provided by BloodMove site visits detailing the sense of blood stewardship and ownership in their duties whilst the blood is in their possession. CHSA hospital staff and transfusion laboratory staff now are mindful of any blood wastage and question and attempt to resolve all causes whereas in the past such wastage was accepted as unavoidable. BloodMove has become part of normal accepted practice at sites across country South Australia. A recent highlight for the BloodMove Team and for all stakeholders was that there was only one (1) blood unit being wasted in the whole of regional SA in February 2013. The Team even investigated that one, to see what could have been done to prevent it.